It has been 3 years since I started Blogging. I don't remember the exact date when I started but it is somewhere towards mid of May three years ago. Some special moments are always celebrated by sweets and coincidentally I had a sweet recipe sitting in my draft for some time. I thought it would be a great time to post this recipe to remember the milestone forever. 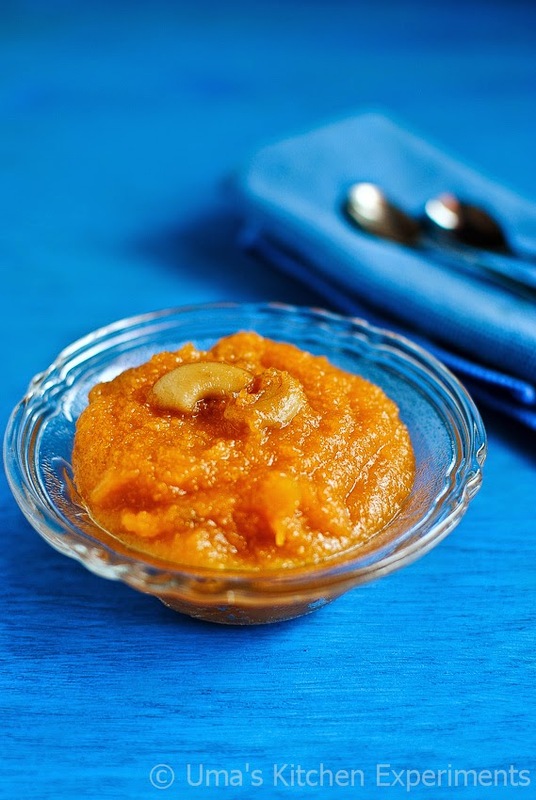 Kesari is a south Indian dish, which is also called as kesari bhath by Kannadigas.One of my friends from Karnataka always proudly mentions that kesari bhath is originally from her cuisine since she loved it the most. 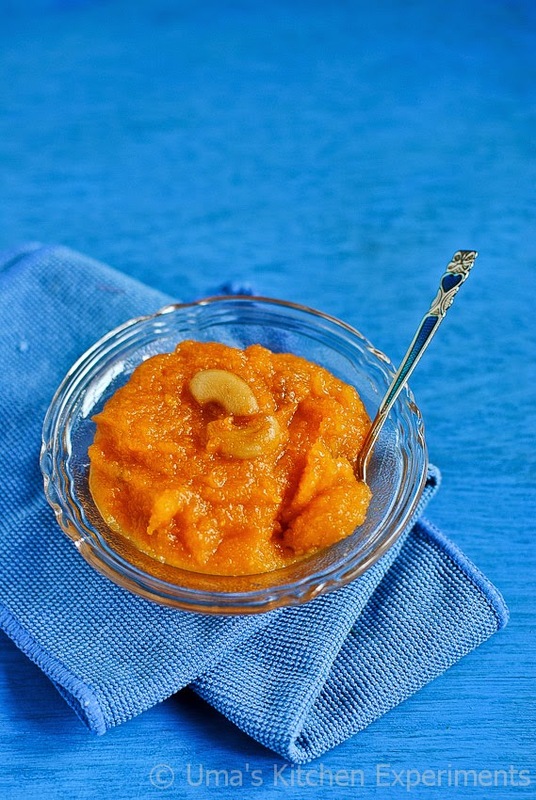 The word kesari is derived from the the orange yellow saffron colour that provides the colour to this recipe. But, in Tamilnadu we rarely use saffron in our dishes and hence food colour is added to bring out the colour. Traditionally it is prepared using rava(Semolina). This time, I used foxtail millet (also known as thinai, Kavalai, Korai and Kamban Korai in Tamil ), ground it to get a texture similar to semolina. I used this instead of semolina. 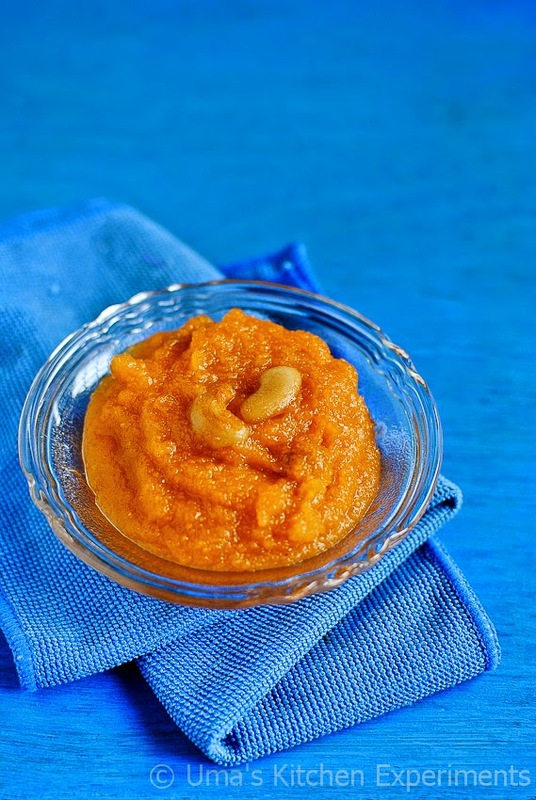 The same recipe can be prepared using saffron instead of food colour and one can adjust the sugar quantity as per the taste. The given measurement gives the correct amount of sweetness. 1) Dry roast the thinai and cool down to room temperature. I added 1/4 teaspoon of ghee for nice aroma. 2) Once cooled, put it in a mixture and grind it to a medium coarse powder like semolina. 3) Heat a tablespoon of ghee and roast both cashews and raisins till they become golden brown. Transfer to a plate. 4) To the same pan, add the thinai and let it warm up. 5) Simultaneously, boil water in other stove and add the boiling water to the thinai. Make sure there are no lumps forming while adding the water. 6) Add food colour and Keep on stirring in simmer flame till the thinai gets cooked and becomes thick. 7) Once done, add the crushed cardamom along with sugar. Stir well and you can see the kesari becomes little watery because of added sugar. Don't worry. It becomes thick when it cooled down. 8) Towards the end, add roasted cashews, raisins and remaining ghee. Mix well. 9) Let it sit for sometime till it becomes thick and serve warm. 1) Thinai used to become very dry when it is cooled down. So I added more water( 2 cups for 1/2 cup thinai). 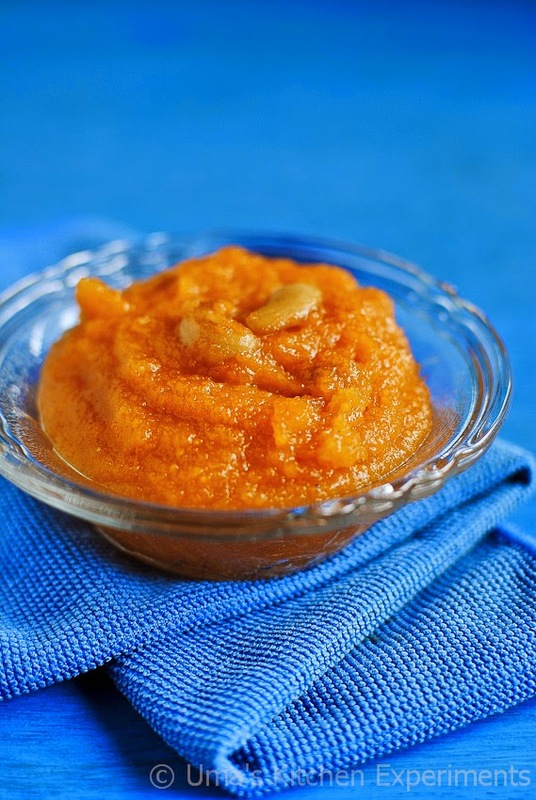 You can also use 1 and 1/2 cup water for thick kesari. 2) Don't forget to stir it properly, otherwise it might form lumps. Delicious and lovely looking kesari. Very colorful pics as well. 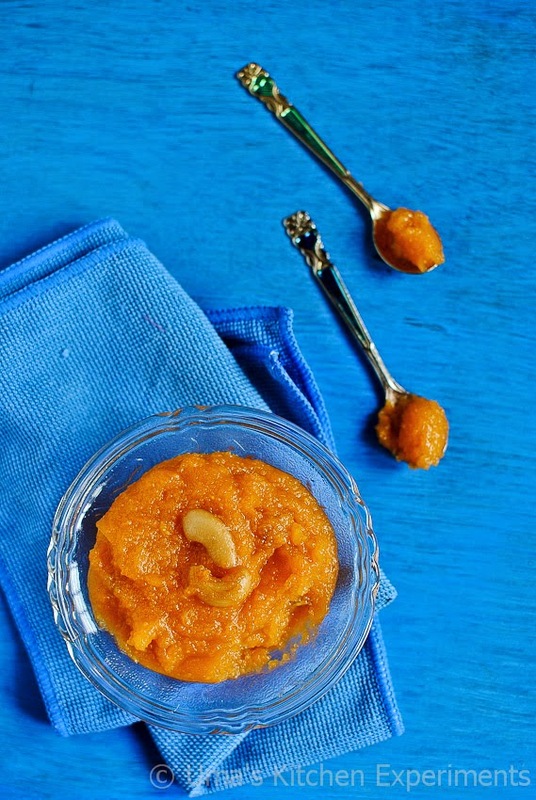 Congrats Uma.. this is such a perfect treat to the blog n to the readers.. simple but divine looking kesari.. Happy Blog anniversary Uma, such a lovely dish :) too good would love to try it. Thanks all the wishes. I wudn't be here without you all. Thanks again.